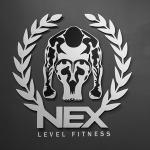 Nex Level Fitness is a 24/7 Gym and Strength & Conditioning facility located in Rouse Hill and Dural. Both locations are designed to suit all ages and levels of fitness, complete with state of the art equipment, cardio facilities and Strength & Conditioning classes. If you are just starting out on your fitness journey or looking to change things up, Nex Level Fitness is the facility to do exactly that – take your training to the “Nex Level”.